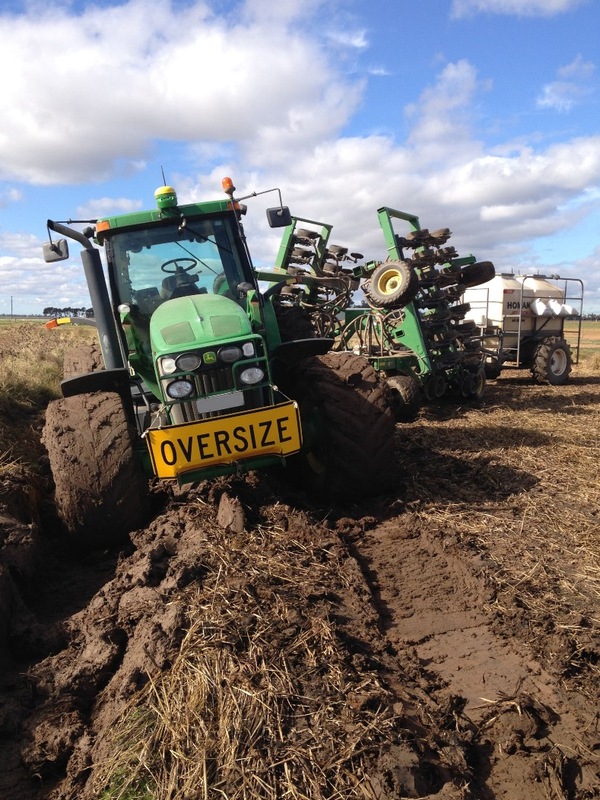 Oversize is stuck in the muck? Uh oh! That's never a good thing. Did someone fail their driver's ed course? I'd send Dolly over to help pull them out, but I don't think even she could manage this one. Doesn't look good! I hope by the time you read this all problems are resolved. Yes, with the aid of another tractor it was able to be pulled out without too much of a drama, and the sowing continued.